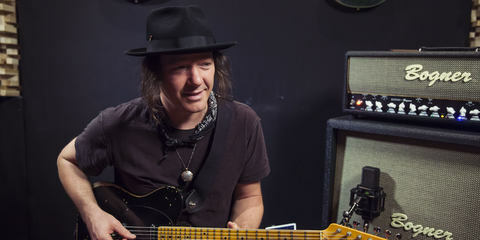 The band was born in 2012, when Lance Lopez was planning a visit to Los Angeles to record a new album and producer Fabrizio Grossi suggested they hook up and work on some ideas. The day-and-a-half studio whirlwind that followed resulted in three songs that became the foundation of an exciting new supergroup. In his prolific career as a producer, mixer, and bass player, Fabrizio Grossi has worked across a wide, eclectic array of styles with some of the finest musicians around today, running from Steve Vai to Tina Arena and from Nina Hagen to Alice Cooper, as well as Glenn Hughes, Dave Navarro, George Clinton, Joe Bonamassa, Leslie West, Zakk Wylde, Ice-T, Slash, and Paul Stanley, to name just a few. 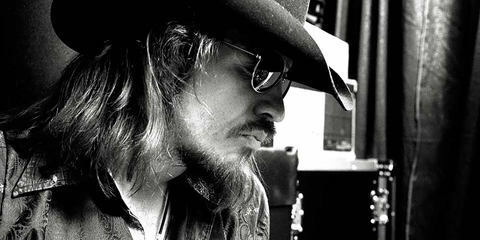 As a young Texas guitar prodigy, Lance Lopez shared the stage with the likes of Johnnie Taylor, Lucky Peterson, and Buddy Miles. And as a guitar-slinging solo artist, he’s gone on to create a whole slew of fire-breathing, post-SRV-meets-Hendrix blues-rock albums. 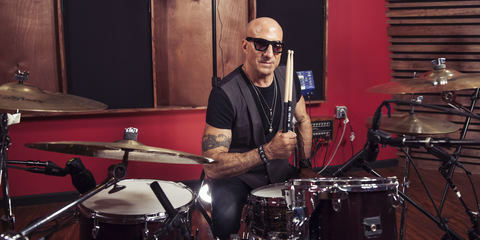 The third part of the band’s core is Indiana native drummer Kenny Aronoff, who brought along his experience working with a huge collection of artists such as John Mellencamp, Smashing Pumpkins, Meat Loaf, Brandon Flowers, John Fogerty, Red Hot Chili Peppers, Joe Cocker, and a host of others. We sat down with Fabrizio to talk about his band Supersonic Blues Machine, their gig at the Notodden Blues Festival, and his experiences with LEWITT microphones. Supersonic Blues Machine is a power trio of Lance Lopez on vocals and guitar, Kenny Aronoff on drums, and myself on bass. We decided to do something that bands in the ’60s used to do – you know, going out, playing music, and bringing along friends who you can interact with, and kind of jamming over your own material. And we’re blessed to have a lot of good friends with us on the first record: we recorded it with Billy Gibbons, Robben Ford, Eric Gales, Warren Haynes, Chris Duarte, and Walter Trout. They’re not necessarily members of the band, but they are members of our extended family. We always wanted to create something like a house band to play our records and our songs, and to have our friends come in and jam with us. So every time we play it’s different, and that keeps it all really fresh. [LEWITT] Next to Supersonic Blues Machine, you’re also all working on lots of other projects, so there’s not a lot of time for rehearsal. How do you handle that? All the guys who play with us are monster musicians, so they can definitely handle the pressure – not rehearsing or maybe going through some stuff only once, and then just bringing it onstage and letting it happen. Sometimes we have 2 or more guitars, keyboard, and everything – so more than for us, it’s a challenge for the sound engineer, since it can be a lot of work. But with today’s technology, we can manage that, and we’ve definitely had a lot of help from the companies we work with: from our in-ear monitoring to microphones, microphone positioning, instruments being properly set, the crew … and that definitely helps a lot in these kinds of circumstances. The Notodden Blues Festival in Norway was quite an experience. It’s like when you’re a kid and go to Disney World, and for a couple of days, you’re just living all things Disney. That’s pretty much what’s going on in Notodden. That town revolves around the blues – there’s a blues museum, there’s a blues studio, a blues café. Who’d have thought Norway would be a cradle of the blues? But the knowledge and the passion of the people there was incredible, and the last thing that we would’ve expected was such a warm reception by the fans. That environment created the setting for an incredible night, and everybody performed incredibly. There was this incredible vibe – it was just magic. [LEWITT] You were performing with many of your friends at the festival, most of them guitar players. Did you run into any challenges sound-wise? And if so, how did you overcome them? For this particular show, our guest list of friends was pretty impressive: we had the reverend himself Billy Gibbons, followed by Robben Ford, we also had Walter Trout with us, and my longtime brother Steve Lukather, and that was obviously an experience. Every one of those guys is a thing of their own onstage to begin with, but having them together with the three of us was just incredible. On the other hand, it was a major challenge for the sound engineer and the monitor engineers, because all those amps and all those guitars on stage really can tax the overall spectrum. But I think everybody did a great job, and when I heard some of the recordings, I was impressed by the clarity and quality of what they’d been able to do on such short notice. We used some different types of microphones and connections to secure the live feed and the recording, and I couldn’t have been happier. I remember that we decided on the LEWITT MTP 550 DM’s for vocals and for some of the guitar stuff, too. Thank God for that clarity and focus on the sound and on the delivery. The way these mics translate makes it really easy, especially for a band like ours where you have a lot of background vocal work and I’m kind of forced to do it, even I don’t consider myself a singer. 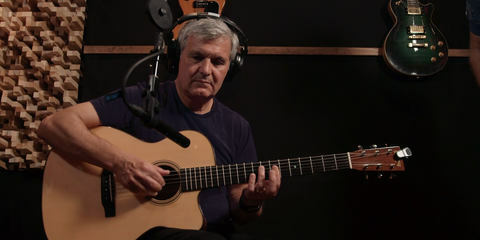 Not being a singer, I don’t really have the technique or the knowledge vocalists generally have around the microphone, especially live – even if, in the studio, it’s a different story. And these mics delivered incredibly … I mean, I was really, really shocked since I could hear myself for the first time, and it was kind of impressive. 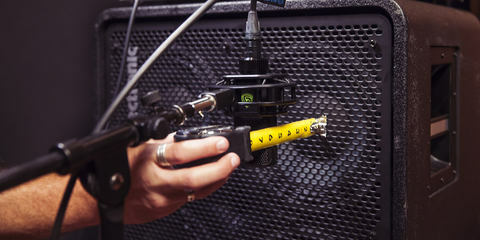 The same with the guitars: we ended up micing a couple of cabs with the MTP 550 DM, and wow, what an experience! [LEWITT] So you used the MTP 550 DM on vocals and some guitar cabs, and Kenny Aronoff used the MTP 440 DM on his snare? What do you like about these microphones? The blanket is off with these mics! (laughs). There are a lot of good microphones out there: especially for recording or live performances, you have those standard names and workhorses that everybody likes to use. Don’t get me wrong, I like to use them too. But if you have to rely only on one of those usual suspects, the first thing that comes to my mind is when you’re talking dynamics: they’re not necessarily detailed. They’re sometimes dark, sometimes muffled, not really open – like having a blanket that kind of limits your head room or the frequencies that you’d normally capture under different circumstances by using a different microphone. The LEWITT MTP 550 DM, on the other hand, just became my favorite microphone: obviously, it’s a dynamic microphone, but it has the clarity and the range as well as the smoothness, and it’s also sturdy. In other words, when you’re using those high-end microphones that can handle huge ranges of frequencies, they’re kind of delicate, very touchy – you just kind of move it a little bit, and all of a sudden, it’s Armageddon. 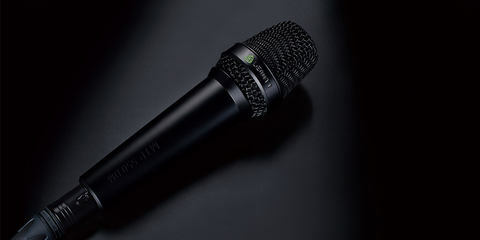 These LEWITT mics, on the other hand, have the same workhorse-qualities but are easier to use, easier to position, and easier to handle than the usual suspects, and they give you sound definition, clarity, and headroom that you’d otherwise only find in way more expensive – generally, condenser – microphones. For me, that’s a major plus, along with the fact that they sound very natural. It’s not like they’re brighter than the competitors, but the competing mics just don’t cover all the frequencies that a mic should cover while the LEWITT mics do. That makes me really happy, because I can use them on a lot of different things, and so far, they’ve never let me down. So I’m using them on most of the recordings that I do – to the point where we’re even using dynamic microphones to sing in the studio, sometimes. [LEWITT] You’ve had an amazing career so far, inasmuch you’ve gotten to be the bass player on tours with Steve Vai, Gilby Clarke, Neal Schon, Slash, and countless others. And you’ve also transitioned into working as a producer for a really diverse range of people – still working together with rock gods like Alice Cooper, Dave Navarro, and Glenn Hughes, but also doing things with Wu-Tang Clan, Ice-T, P-Funk, and P.O.D. So if someone wanted to transition into being a top-notch producer, what advice would you give them? I was really blessed to end up working with so many different and great artists. In terms of the advice that I can give, I guess you have to be kind of the opposite of selfish, if you want to be a producer. And I’m talking about the work that I do as a producer – I’m not talking about being the producer, rapper, singer, executive producer, label manager, and blah, blah, blah that people associate with the word producer today. Like most of my favorite producers, let’s mention for example Trevor Horn or Don Was, I’m a bass player. The bass player is the guy in the band who generally doesn’t fight with anybody and actually keeps it all together; he’s the reliable guy, the guy that kind of makes sure that things happen, like that the gigs are booked or that you can pay the rehearsal room or that the business gets handled. And knowing that role reminds me all the time that I’m not doing my record, I’m doing someone else’s record, and I have to make sure that it’s that person’s message, style, sound, and music, rather than me showing off how well I can mix or how fast I can slap on the bass or anything like that. So if you really want to be a producer, then you have learn how to listen more than you talk, and you have to try and understand where the artist you’re working with shines. And then you have to make sure that he, she, or they stay on that path. [LEWITT] Any last words you want to say about LEWITT? Thank God you’re doing what you’re doing, because it really makes my life easier.